Not a single poll pledge, the party had made before last year's Assembly election, has been implemented, Debbarma said. 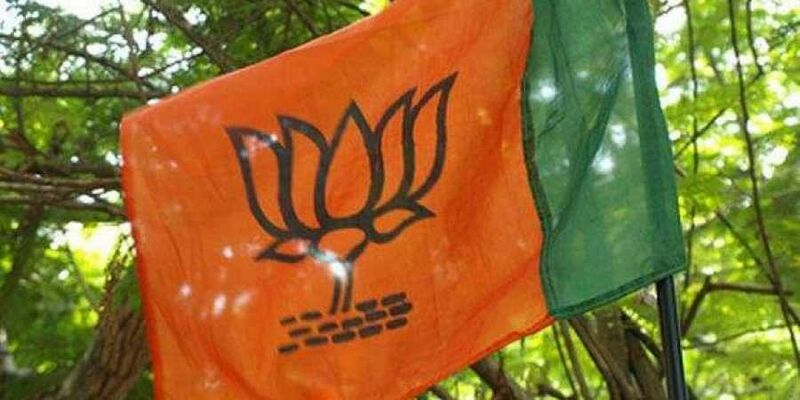 AGARTALA: A tribal leader of Tripura, Rajeswar Debbarma, has resigned from the BJP for its "failure" to implement poll promises, made during 2018 Assembly election, for the development of the indigenous people of the state. Debbarma also demanded scrapping of the Citizenship (Amendment) Bill-2016 as it posed a threat to the indigenous people of Tripura. He submitted his resignation to party president of the state unit, Biplab Kumar Deb, on Tuesday. Deb is also the Chief Minister of Tripura and is currently out of the state. "I am quite unhappy with the performance of the BJP- led NDA government in the state as it is ignoring the indigenous people of Tripura. Not a single poll pledge, the party had made before last year's Assembly election, has been implemented," Debbarma said. Debbarma, a former MLA of the Indigenous Nationalist Party of Twipra (INPT), a regional tribal party, had joined the BJP before the Assembly election in Tripura last year. "The BJP gave a clear assurance in its vision document before the last election that more power would be granted to tribal council, which would be named as 'Tipraland State Council' but the party did not look into the matter. "Recently the Union Cabinet announced its decision to upgrade the tribal council into a territorial council, which will not fulfil the aspirations of the indigenous people of the state," he said. On the Citizenship Bill, which was passed in the Lok Sabha on January 8, Debbarma said "It is anti-tribal and the indigenous people would be marginalised if Hindus from Bangladesh enter the state." He also voiced his protest against police firing on Citizenship Bill protestors at Madhabbari in West Tripura district on January 8, the day the Bill was passed in the Lok Sabha. The proposed legislation seeks to provide Indian citizenship to non-Muslim nationals from Bangladesh, Pakistan and Afghanistan after six years of residence in India. A Tripura State Rifles (TSR) personnel and six members of Twipra Student Federation (TSF), who were protesting against the Bill, were injured when police opened fire and resorted to lathicharge to disperse the gathering on January 8. The present coalition government of Tripura, led by the BJP, has "totally failed" to deliver good governance in the last ten months and lost its credibility, he said.